Stefani and I will be walking around campus tomorrow for Imagine Day! 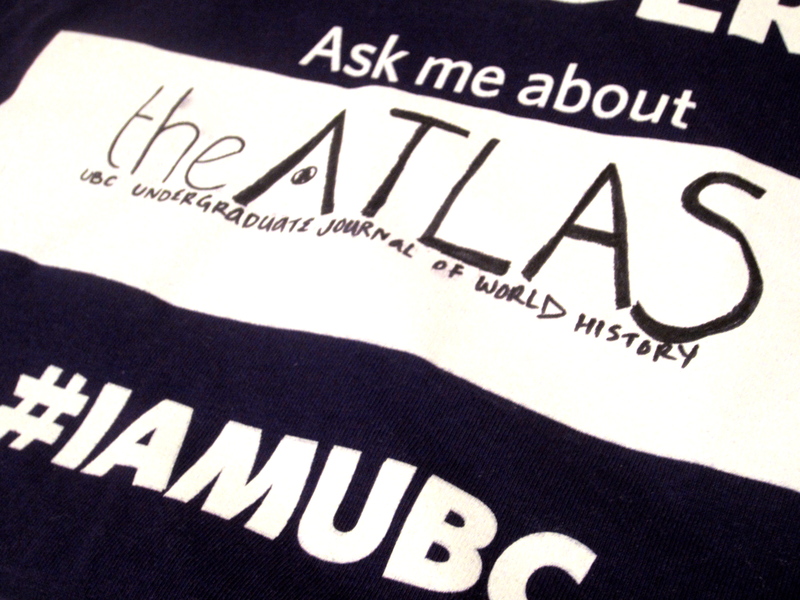 Look for our IAMUBC purple t-shirts with THE ATLAS written on the back, and feel free to come up to us and ask us questions about the journal this year. Also, the History Students Association will have a booth at the Arts Faculty Fair in Buchanan Courtyard tomorrow from 10am to 1pm. Be sure to check it for all the cool things happening with the club, as well as to meet some of the executives! Prev Post: CALL FOR 2013/14 EDITORS!